Finally, a reliable method of preventing painful muscle cramps is on the way in 2016. You can’t get fitter without challenging your body, and you can’t challenge your body without feeling it. Any running program that is tough enough to generate improvement will involve some discomfort. This is where the expression, “No pain, no gain,” comes from. The trouble with this expression is that it implies all pain is good pain, which is certainly not true. While some forms of discomfort that runners experience are normal and even beneficial, others are to be avoided at all costs. An example of a beneficial type of pain is delayed-onset muscle soreness (DOMS), the scientific name for the muscle pain you feel when getting out of bed the morning after a hard run. DOMS is caused by microscopic damage to muscle fibers incurred during running. It sounds bad, but it’s in the process of healing this minor damage that the muscles become more resilient for future runs. Making sure that your hardest run in a given week is never more than slightly more challenging than the hardest run of the week before will keep this soreness manageable and give you the most gain for your pain. In contrast, concentrated discomfort in a muscle, joint, or bone that gets worse with continued training is a red flag. This type of pain indicates that you are developing an overuse injury, which occurs when the body is unable to heal and adapt to tissue strain between runs. When you see this red flag, stop running and keep fit through other activities that you’re able to do without pain while the sore spot recovers. Another type of pain you’ll want to steer clear of as a runner is the pain associated with muscle cramping. Although cramping does not often result in outright injury, it brings runs to an abrupt and unpleasant end. In workouts, it’s frustrating. In races, where cramping is most likely to occur, it can be devastating. It was recently discovered that muscle cramps originate not within the affected muscle itself but rather in the motor neuron that transmits electrical signals to the muscle from the spinal cord. In order for muscles to function properly during a run, these electrical signals must maintain a smooth, steady rhythm. But when a muscle becomes fatigued, the motor neuron feeding into it may become hyper-excited, zapping the muscle in a chaotic rhythm that causes the muscle to contract involuntarily. When a cramp occurs, stop running immediately (you may have no choice!) and try to gently massage and stretch the muscle until it relaxes. This may or may not work. Don’t resume running until you’re able to do so without pain. Much better than treating a muscle cramp is preventing it from happening in the first place. But this may be easier said than done. Research has shown that some runners are especially prone to cramps. A 2014 study by scientists at the University of Newcastle found that the top predictor of calf muscle cramps in competition was a history of calf muscle cramps. This means if you’ve cramped before in a workout or race, you’re prone to cramp again. Even in cramp-prone runners, the severity of cramps can vary, and so to the level of fatigue at which they occur. This fact has led some experts to propose that increased fitness might be an effective way to prevent cramps. The trouble with this idea is that, in order to increase fitness, a runner must do harder workouts. So while getting fitter may reduce your risk of cramping in a workout that was highly fatiguing when you were less fit, it is unlikely to reduce your risk of cramping in harder workouts that are highly fatiguing at your current level of fitness. To prevent muscle cramps, runners frequently hydrate and consume sodium and other electrolyte minerals before and during a run. (Most sports drinks used for hydration in workouts and events contain electrolytes.) These practices are based on the belief that muscle cramps are caused by the loss of body fluid and electrolytes in sweat. But as we’ve already seen, the true cause of muscle cramps is over-exciting the motor nerves related to muscle fatigue. Numerous studies have shown that hydration and electrolyte intake—while worthwhile practices for other reasons—are not effective ways to prevent muscle cramps. In a 2005 study, for example, researchers at the University of North Carolina supplied volunteers who had a history of exercise-associated muscle cramps with plenty of fluid and electrolytes in an effort to prevent cramps from occurring during a prolonged workout in a hot environment. Despite these measures, 69 percent of the volunteers cramped anyway. Fortunately, the discovery that muscle cramps are caused by a kind of electrical overload originating in motor nerves has opened the door for better solutions. The most exciting among these is a nutritional beverage developed by Rod MacKinnon, a Nobel Prize-winning neuroscientist and an endurance athlete, and Bruce Bean, a neurobiologist at Harvard University, for the biotech company Flex Pharma. Billed as the first scientifically proven beverage to maximize neuromuscular performance, it contains a natural blend of active ingredients found in certain foods that activate specific ion channels—proteins that regulate the flow of electricity through cell membranes. Through this action, the spicy two-ounce shot, which is intended to be taken before exercise, prevents motor nerves from becoming hyper-excited in response to muscle fatigue and drastically reduces the risk of cramping. Early testing has shown that it slashes the incidence of cramping in half. The new beverage is expected to hit the market in the first half of 2016. Other products that prevent cramps by targeting the nerve will surely follow. 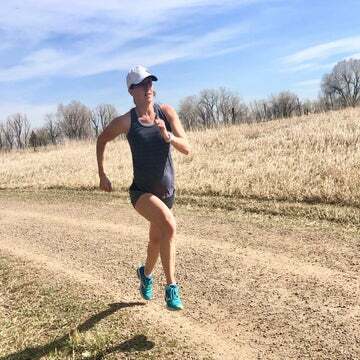 When this happens, runners everywhere will have the opportunity to derive a little more gain from their training and racing with a little less pain! 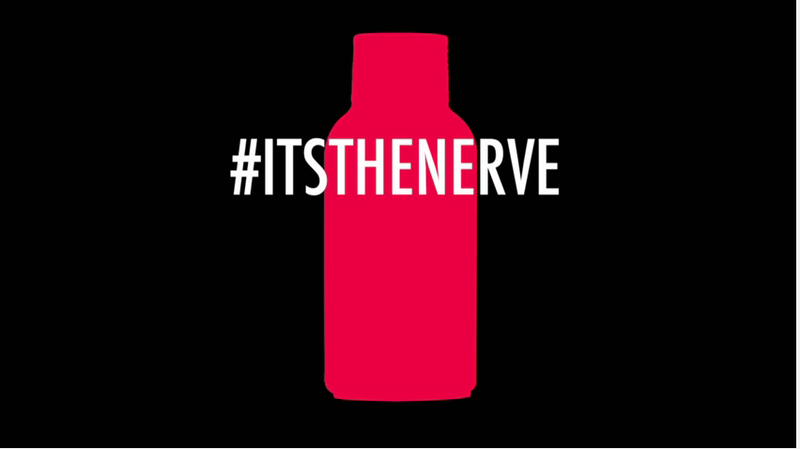 To find out how curiosity killed the cramp, visit itsthenerve.com.